I know that my preceding post is about dieting, but because it is hot and midsummer I wanted to repost this favorite 2015 blog post. Yesterday was hot. Very hot. I took the day off work, not because it was hot but because everyone takes time off during July and August. 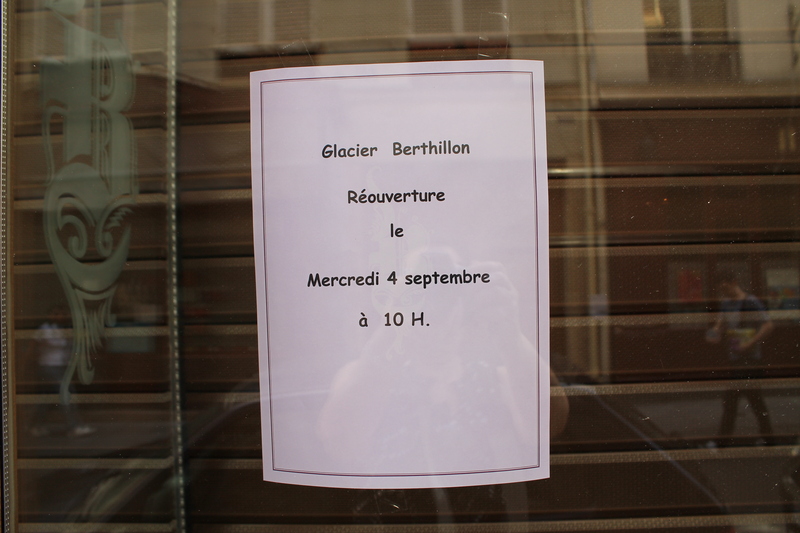 After my Pilates class, I headed to the river and to Berthillon glacier (ice creams and sorbets). 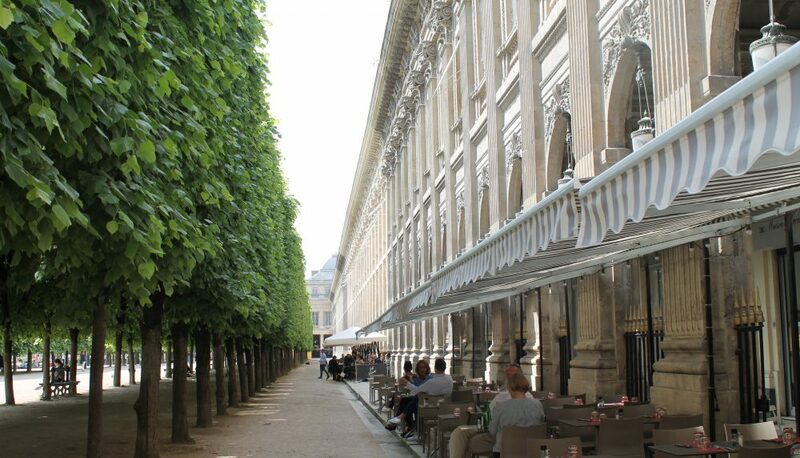 It’s located on the small island of Ile Saint-Louis in the middle of the River Seine. 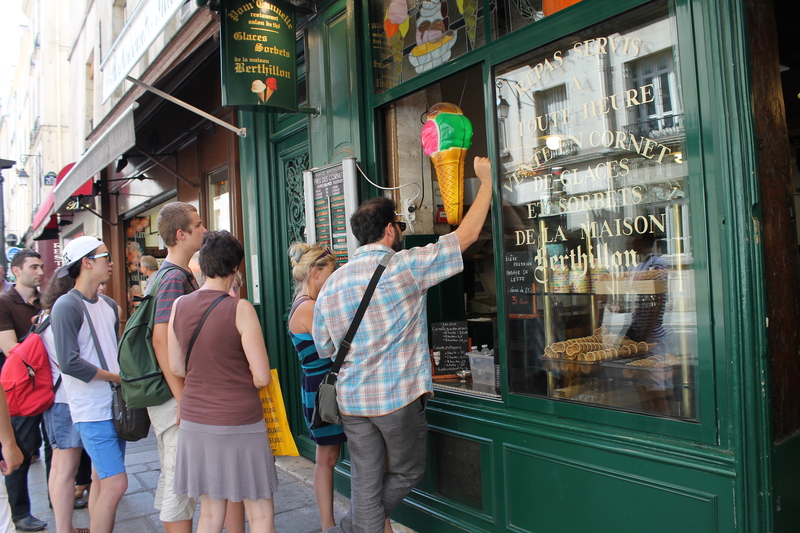 What’s funny is that the original Berthillon ice cream parlor is closed during July and August! Isn’t that a hoot? Luckily, the Ile Saint-Louis is served with a half-dozen outlets. 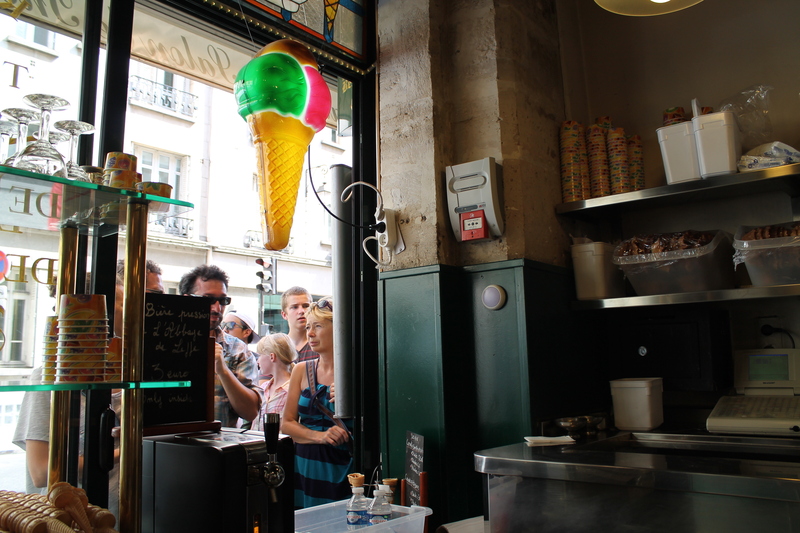 You either line up and purchase your ice cream as take-out or you sit inside and have it served to you. It was so hot I had to sit down inside. I ordered a chilled apple juice and perused the list of a dozen or so flavors ranging from fig to litchee to mandarin orange. 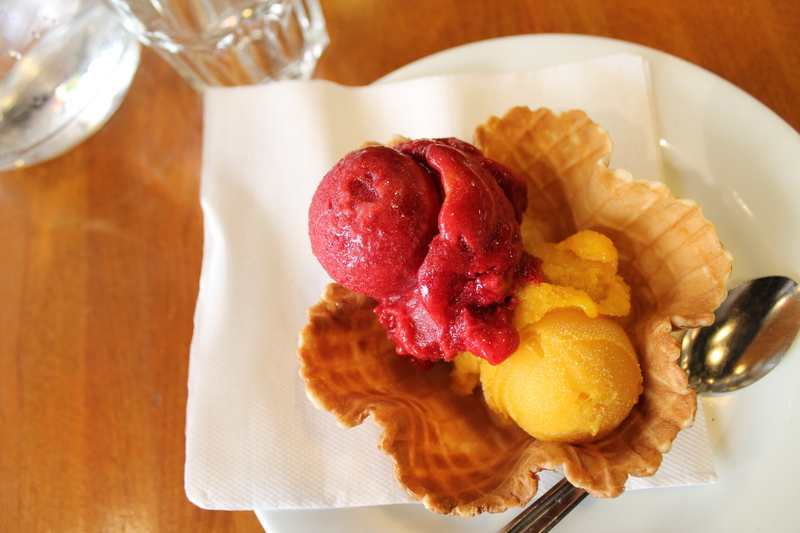 Sorbet, or sherbet in English, has 30% less calories. 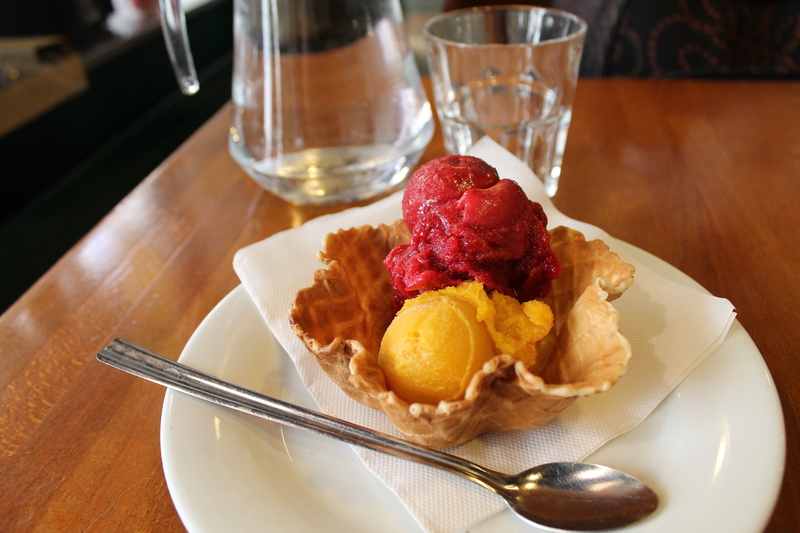 I ordered a duo of mango and cherry sorbets. Isn’t this gorgeous? Eating Berthillon is an event because the flavor is so intense and the taste so startling, you swear you’re eating a real mango and real cherries. Once the fruit sorbet eaten, I ordered a single scoop of réglisse. Never having tasted licorice ice cream before, I was curious. (I thought it would be black – photo below). Again, the flavor bursts in your mouth. 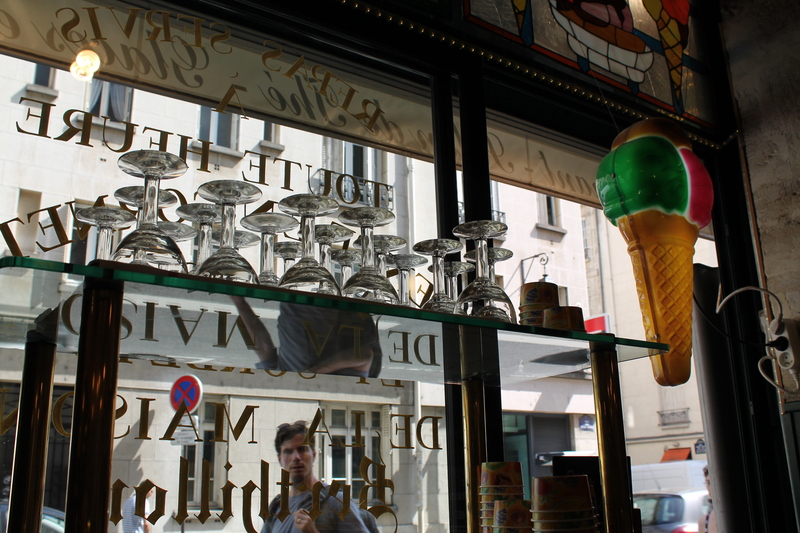 One scoop is 3 euros 50, two scoops 6 euros 50. For take-out, one scoop is 2 euros 50, two scoops 4 euros. I like that the word “flavor” in French is parfum. I like that metal and not plastic spoons are used. 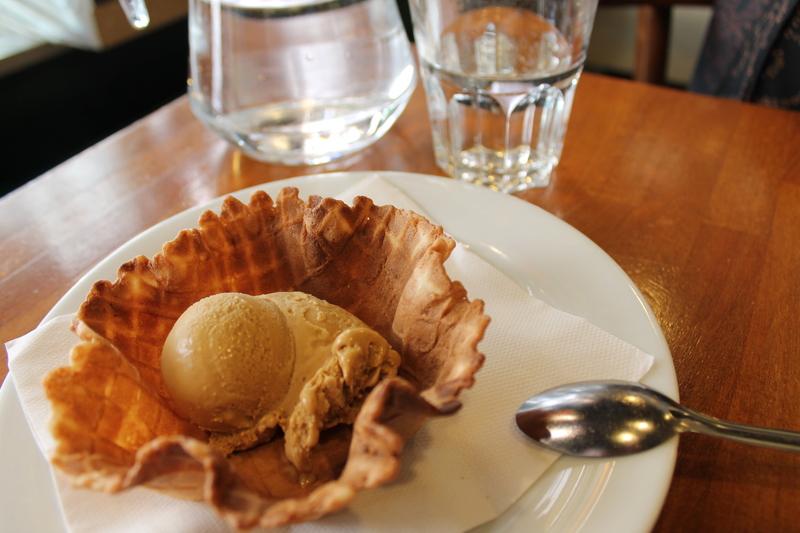 I like the edible wafer cup that the sorbet is served in, called a coupelle en gaufre, and I like that they offer a pitcher of water. Afterwards I strolled the streets of the Ile Saint Louis then made my way down to the river. A hot wind was blowing. …….to be continued. This entry was posted in General and tagged Batobus, Berthillon, Ile Saint Louis, Paris Berthillon ice cream, Paris Plage by julesparis2013. Bookmark the permalink. I’ve never forgotten a visit to Berthillon, with my husband and a friend and her young child. We had sublime treats. Mine was a prune concoction, where the prunes had been soaked in Armagnac. Long spoons, glasses of water, and intense espressos.